Next to Benefit Street, South Main Street is one of the most historic areas in Providence. This also means there are a good number of PokéStops and places to catch Pokémon! There are 26 different PokéStops on this 1-mile stretch of road, which will get you a little more than 1.5 km for your egg incubator. Along the way, we saw a bunch of the usual Pidgeys, Rattatas and Drowzees, but we were also able to see a Slowpoke at the RISD Museum and a Machop. 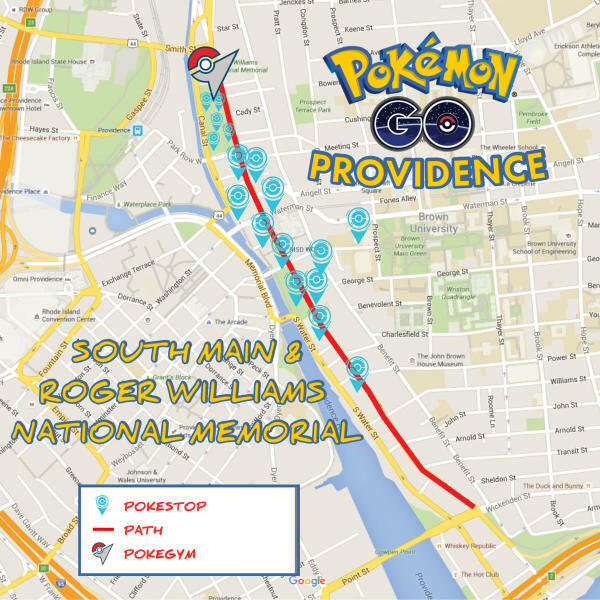 Further down South Main, where it becomes North Main, is the Roger Williams National Memorial. This is the perfect place to stock up on gear from six different PokéStops and then head to the Gabriel Brenon Gym where you can represent your team in battle. As of this writing, the gym is held by Team Valor by two Vaporeon and a Snorlax. 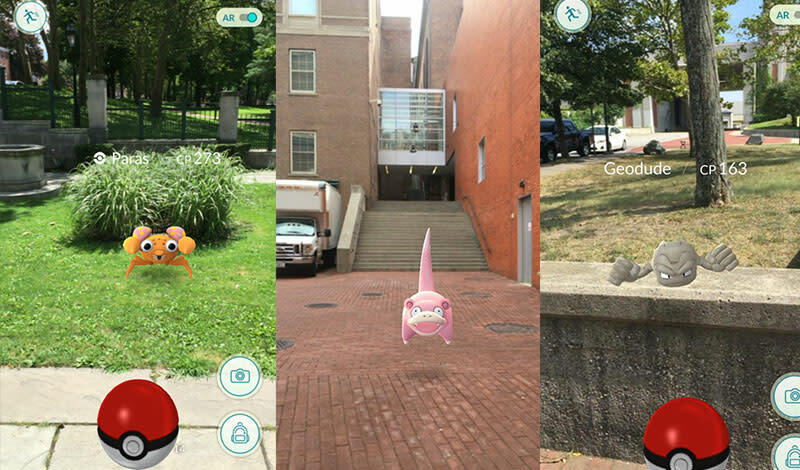 Check out all of the PokéStops listed below, and be sure to swing by some shops and restaurants while you’re there to stock up on some gear IRL.